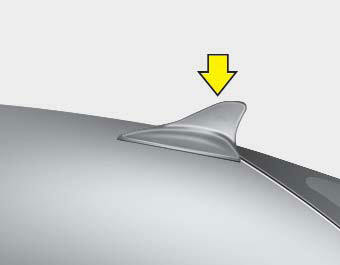 The satellite antenna is installed on the roof of your car to listen to a satellite radio broadcast. This antenna is permanently attached and can not be removed. In places such as tunnels, the satellite broadcast signal is not available.